Just like most of our neighbors in the South End, so many of our guests are lovely pet owners. The kind that misses their pet while away and always have pictures or videos of them handy to share with us. Although we do not accept pets at our bed and breakfast, here are some options that will make traveling away from home a little easier. If you like to spoil your pet, even while away from home, check out these awesome places to find the best for your critter. Polka Dog Bakery is a treat boutique for dogs located at 256 Shaw”mut” Avenue in the South End. Not only do they offer a huge selection of baked goods for your pet friend, they also have an incredible selection of unique accessories for sale (you might be able to find something cute for your cat too). New to the South End, and quick to establish is D’Tails Pet Boutique a very short walk away from us at 482 a Columbus Avenue. In addition to grooming services, they are indeed a Boutique, so you can find the latest fashions for your pets. They also carry great lines of nutrition and care products and a big selection of treats. 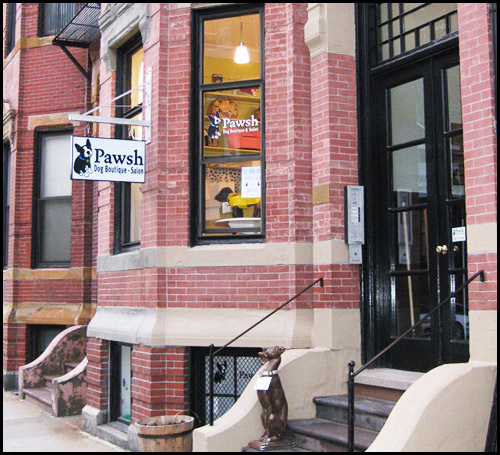 Pawsh Dog Boutique and Salon in the Back Bay is located at 31 Gloucester Street and also offers Salon and Fashion services. In 2011, Pawsh Dog and Boutique was awarded a Best of Boston award for Best Dog Grooming, so you know you are trusting your pet needs to one Boston’s Best. And if you really cannot bear to spend a day away from your pet, we have a solution. 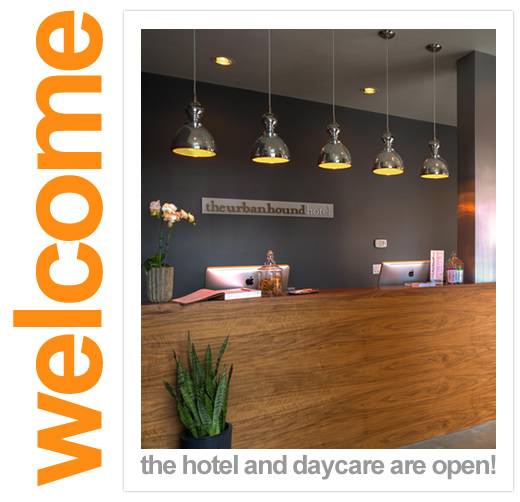 Give your pet a luxurious stay at the Urban Hound Dog Hotel in the South End. A short walk from our property, this luxurious dog boutique hotel in Boston will surely impress your pooch. The accommodations are state of the art and well designed. Reassured that your pets hotel stay will mirror yours at our Boston bed and breakfast. With so many things to do in Boston, you will have lots of walks and shopping to do with your pet. This entry was posted in Uncategorized and tagged audrey's pet supply and service, back bay stores, boston, boston bed and breakfast, boutique hotel, d'tails pet boutique, dogs, Pawsh dog boutique and salon, pets, polka dog bakery, south end stores by admin. Bookmark the permalink.